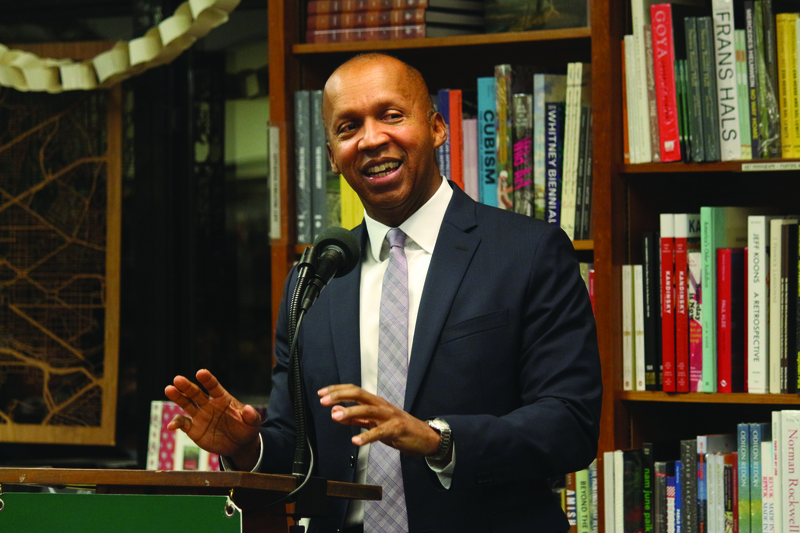 Bryan Stevenson, best selling author of Just Mercy and nationally known advocate for criminal justice reform, will be the featured speaker at this citywide event that is hosted by The New York Avenue Presbyterian Church in downtown Washington. Individuals, congregations and community organizations from throughout the Washington, DC area are invited to attend and learn what they can do to help improve our criminal justice system. The focus of the evening will be on specific actions we can take to create a fairer justice system and to meet the needs of citizens returning from incarceration. This program is sponsored by the McClendon Scholar in Residence Program at The New York Ave. Presbyterian Church and many congregations from around the District of Columbia are assisting with the event, including: Calvary Baptist, Emory United Methodist, Metropolitan AME, Luther Place Memorial, St. Columba’s Episcopal, Shiloh Baptist, Covenant Baptist/UCC, Church of Christ, Right Now and St. Augustine’s Catholic. Help improve the criminal justice system! Join individuals, congregations and organizations throughout Washington DC, pledging to work for justice and mercy in our community.